You are currently browsing the tag archive for the ‘arline lawless’ tag. Retro Report, June 26, 2013: Arline Lawless pleads guilty. 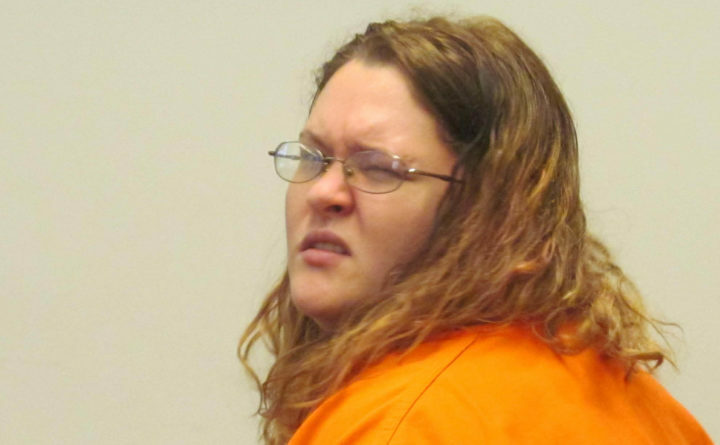 Arline Lawless, also known as Arline Seavey, made her first court appearance for the charge murder in the death of her boyfriend, Norman Benner, Friday, August 17, 2012, in Lincoln County Superior Court in Wiscasset. ROCKLAND, Maine — Arline Lawless chewed gum steadily and spoke in monosyllables as she pleaded guilty Wednesday morning at Knox County Superior Court to last summer’s shooting death of her boyfriend, 34-year-old Norman Benner of Waldoboro. She killed him while he was sleeping because she was afraid he was leaving her for another woman then shot herself in the face, according to evidence presented Wednesday during the plea hearing held in a nearly empty Rockland courthouse. She stayed in the bedroom with Benner’s body for at least a day until they were discovered by family members. Lawless, 25, also of Waldoboro, stood in shackles and listened impassively as Assistant Attorney General Deborah Cashman outlined the case the state of Maine would have presented if the matter had gone to trial. Instead, in exchange for her guilty plea to the charge of intentional or knowing murder, the Maine attorney general’s office and Lawless’s court-appointed defense attorneys are jointly recommending to Justice Jeffrey Hjelm that she be sentenced to 35 years in prison. She has been incarcerated at Two Bridges Regional Jail in Wiscasset. “Have you decided to enter a guilty plea to this charge because in your judgement, you are in fact actually guilty of this crime?” Hjelm asked her at the end of the hearing. “Yes,” she responded in a clear voice. Lawless and Benner had been dating for about four months when the lobster sternman told his mother, Dawn Benner, that Lawless was “so clingy, she’d wake up in the middle of the night and ask him if he was going to leave her,” Cashman told the judge during the hearing. Benner, who lived with his family, tried to break up with Lawless on Friday, July 20, but that led to a big fight, Cashman said. The next day, he went to the house on Friendship Road in Waldoboro where Lawless was staying with Jeremy McPhee, to try again to break up with her. He told his mother he’d be done in about an hour. But when Benner did not come home that night or the next day, his mother, father and sister began to worry. They drove to McPhee’s house on Monday and found Benner shot to death in Lawless’s room, Cashman said. His mother and his sister, Kimberly Simmons, saw Lawless lying still and injured in the same bedroom. His mother, sister and McPhee, who was home but said he did not know about the shootings, sought help from officials. Later that day, they received a phone call from Lawless and Dawn Benner spoke briefly to the woman. In the courtroom, Dawn Benner, Norman Benner, Sr., and Simmons wore pins with photos of Norman Benner and tried to comfort each other while Cashman described his death, and its aftermath. They listened as Cashman said that in a trial, McPhee would have been called to the stand to talk about how he had not given Lawless permission to use his guns, one of which was the murder weapon. They shook their heads in disbelief when they heard how Lawless initially told police investigators that she knew that Norman Benner had died but she did not know how, and that Lawless had wanted to kill herself because she was so angry. They heard how the wounded Lawless walked around the bedroom at times between midnight Saturday, when the couple had returned home from a party at a campground and gone to bed, and Monday morning when his body was discovered. After the plea hearing was finished, Benner’s family members said that justice had not been served. His mother, Dawn, said that the words that rang in the courtroom — including faith, justice and equality — were all lies. “There’s no satisfaction at all. That’s not justice, to let murderers out walking the streets in 32 years,” she said, figuring her son’s girlfriend will get time off for good behavior. They described their son as a good man, who was quick to laugh, who loved life and who would do anything for anyone. He enjoyed camping, fishing, being outside and loved his mother’s macaroni salad.